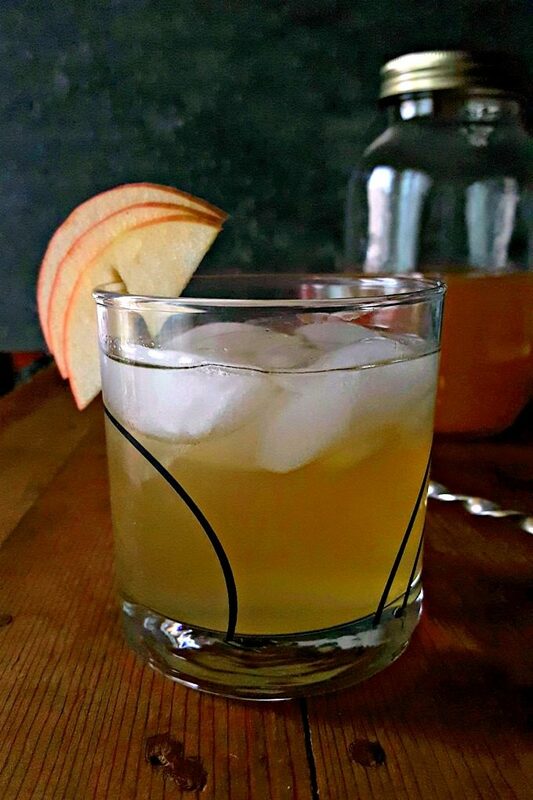 Mulled Apple Shrub Mule reminds me of crisp fall morning, warm afternoons, and cooling nights. The shrub makes this mule crisp and delicious with a ginger bourbon kick. It’s #AppleWeek!! I’m so excited! It’s going to be AWESOME!! No, seriously. There’s 65 recipes for drinks and appetizers to mains and desserts! There’s even crafts! Therefore, you’re not going to want to miss this event. No to mention the 20 talented bloggers that are participating, like me! Speaking of which, I want to give a huge shout out to Cooking with Carlee and Family Around the Table. Ellen and Carlee are the ones that brought us all together for this event. Ellen kept us organized and Carlee set up the code. Make sure you show them some love this week. It’s not an easy task fo sho! So, for whatever reason, I chose to make a cocktail. I know. I’m not really a cocktail maker? I mean, the extent of my beverage creations is a caipirinha colada and some smoothies and teas. Yeah. Exciting. I know. But, for whatever reason #appleweek has me stepping outside the box a little. I said a little. Not a lot. Cut me some slack since I’ve been sick the past two weeks AND it’s fiscal year close. It’s like the perfect storm. If you’re like me, you get a ton of emails and you have a ton of blogs you follow. A few months ago either in an email or a blog, I read about the shrub. Not, it’s not a bush you plant in your front yard. The shrub is simply a vinegar infusion or fruits, vegetables, herbs, spices, whatever that you mix with your favorite alcohol or liquor. I also read about switchels, but I’m not making one of those right now. Consequently, when I signed up to do #appleweek, I decided I was going to make a shrub. But not just any shrub. 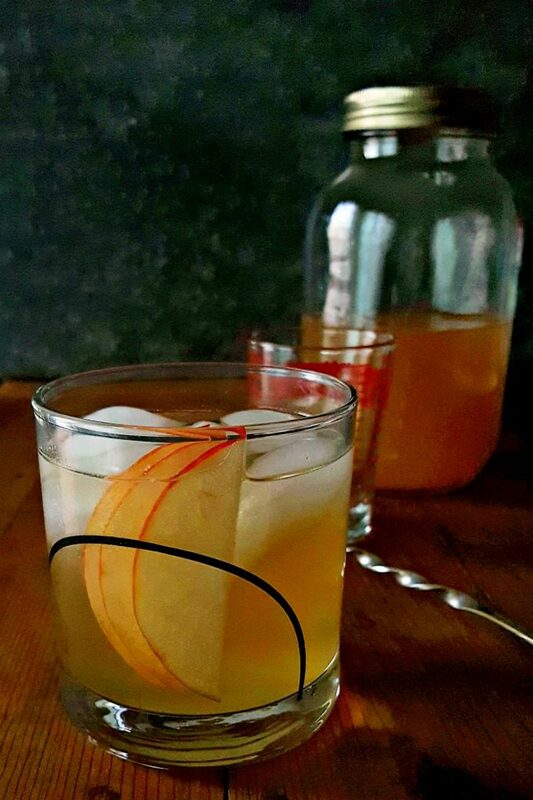 I wanted to make a spice infused, mulled apple shrub. And I did. And it’s pretty darned good, if I say so myself. Of course, the hubs hates all things that involve vinegar short of sweet pickle relish, mustard, and dressings. Oh, and some coleslaws. So, I knew, going into this, that it would definitely be something only I would be drinking casa da AKHA. And I’m okay with that. But this shrub, is AWESOME! It reminds me of fall with the crisp flavor of the apples and vinegar. Then you taste the delicious mulled spiced like you would get with a mulled apple cider. Oh yeah. And then there’s the little warm of a sunny day that you feel with the bourbon and the ginger. And then it just warms your tummy and your soul with all the flavors mixed together into one. I think I need to make another one. Because they’re so good. I know it sounds weird to put vinger in a cocktail, but trust me on this one. It’s so interesting and different, that it’s just delicious. 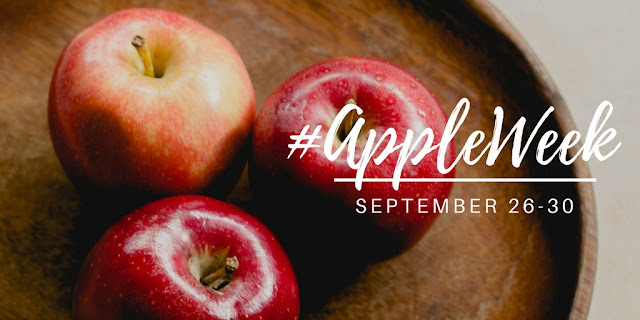 It’s bright and flavorful and just packed with fall apple flavor that you’re going to want to keep a jar of this hanging out in your fridge. Yup. See that golden color? It tastes just like you think it’s going to. I love the mix of bourbon with the shrub, limoncello, and the sparkling water. Why the limoncello? Because It just adds that rounded sweetness and tart and plays off the vinegar and sugar in the shrub. It’s not a dominant flavor but in the background just bring the whole family together into the glass. So, I made one and then headed upstairs to finish up some laundry. I came down and the hubs said, “I don’t like that.” I didn’t think you would because it’s made with vinegar! So, I drank a few cocktails worth of this shrub last night for testing purposes, of course. I’ve decided that I love this shrub and could mix it so many different ways with many different liquors and mixers. So, don’t limit yourself to my mule. Just make this shrub and start creating your own cocktails! Have you made your own shrub or switchel or even a bitters? Combine the vinegar with the spice in a small saucepan over high heat. Boil mixture for 5 minutes. Stir in the sugar, reduce heat to a simmer, and cook, stirring constantly, until the sugar has melted. Remove from heat and cool to room temperature. Place the shredded apple and any juices in a quart jar. Pour the vinegar mixture over the apple and refrigerate at least 48 hours. Strain the mixture discarding any solids. Combine 2 ounces bourbon, 1 ounce shrub, and 1/2 ounce limoncello in a highball glass filled with ice. Stir to combine and top with ginger beer to fill the glass. Garnish with apple slices. What if you tired a flavored balsamic vinegar, say cherry or blueberry? That would make for an even more flavorful shrub!! Good idea! This sounds delicious! I’ve never made a SHrub myself but I’m all about Mules and cocktails! They’re definitely different. Of course, I loved it and will be using it again. This sounds so interesting and looks super delicious! Now you have me curious what a switchel is too! Thank you, Carlee. That’s next no my list to try to make. Sounds like a tasty cocktail! Thanks, Caroline! It was tasty to me and I can’t wait to make another cocktail or two.